BRIGHTEST COMPACT LED BOX ON THE MARKET! 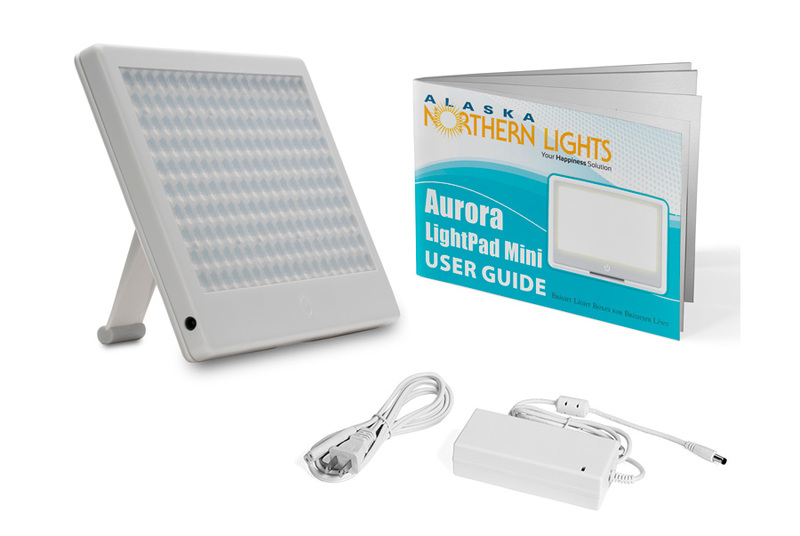 The Aurora LightPad Mini™ The most compact, brightest LED on the market. 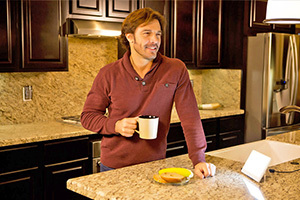 This bright light therapy box is a proven, natural remedy for fighting Winter Blues. Distance matters with light therapy and the Aurora LightPad Mini is a full 10,000 LUX at 25 inches. 10,000 LUX AT 25 INCHES: Distance matters in light therapy! Where most light therapy boxes are 6-12 inches for 10,000 lux, our box is a FULL 25 INCHES for 10,000 LUX! The perfect range for light therapy! 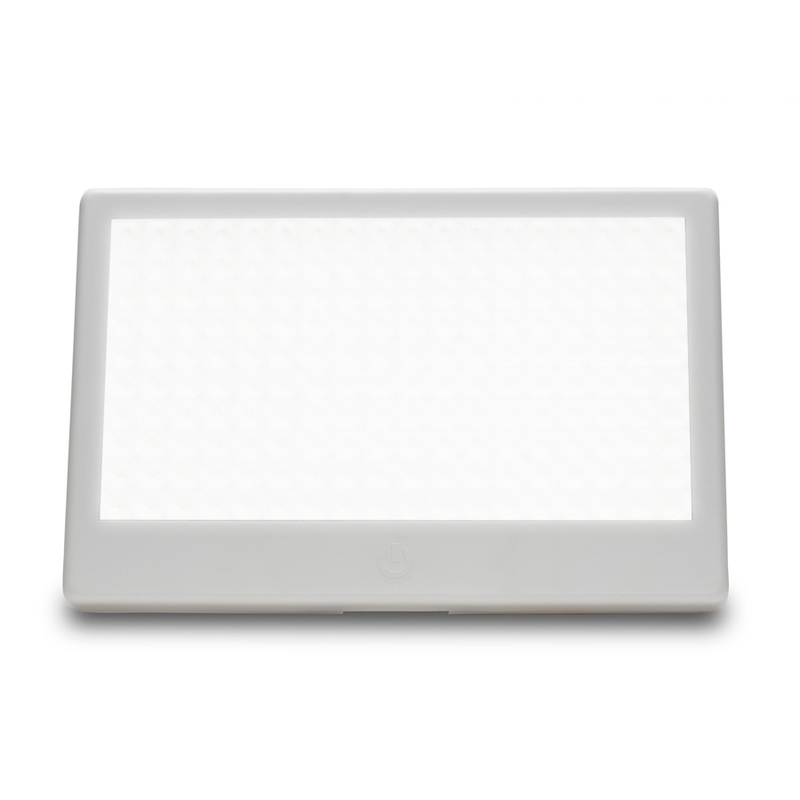 The most compact, brightest LED on the market. This bright Aurora light therapy box is a proven, natural remedy for fighting Winter Blues. 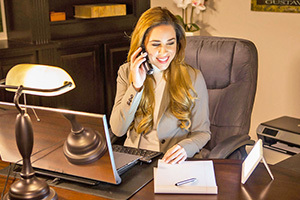 It's ultra sleek, ultra thin design makes it the best bright light therapy box on the market. Distance matters with light therapy and the Aurora LightPad Mini is a full 10,000 LUX at 25 inches. 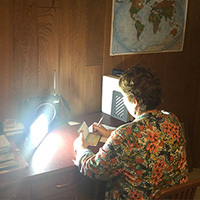 There is no other light therapy box on the market that is brighter! Doctor recommended, the Aurora Lightpad is extremely portable and easy to travel with. Its AC adapter is worldwide compatible for 110-240v. 100% satisfaction is guaranteed. 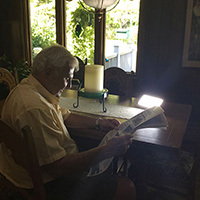 Lux Range 10,000 LUX @ 25"
Reviews for "Aurora LightPad Mini™"
"I have had great benefit from daily use of my light box. Just having it on for 20 to 30 minutes a day has helped improve my mood and energy. As the daylight hours lessen moving into the fall and winter, the use of a light box has proven to prevent symptoms of the "winter blues." 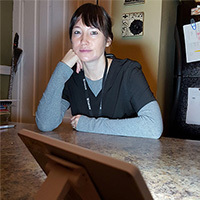 I would strongly recommend it to friends, family, and patients if they suffer from seasonal affective disorder or simply struggle with motivation and energy in the winter season. It's an affordable way to treat seasonal affective disorder with really minimal to no side effect." "Several months ago, I was seeing a sleep therapist for fatigue and "unrestful" sleep. She suggested I try a light box. I finally went ahead and ordered one, and I am very happy with my purchase. I've been using the box for about two weeks now. Initially, I noticed an improvement in fatigue; currently, I am now starting to wake before my alarm goes off. I would recommend this not only for SAD (I actually like the winter, but I feel this will help my energy and mood regardless), but also for fatigue issues and sleep issues. I live in Minnesota, and I am looking forward to seeing how I feel this winter now that I have the light box. My husband works from home, and I think this will do wonders for him throughout the long winters. Thank you very much!!" "I have suffered through the winters for the past 5 years. My doctor suggested I purchased a SAD light box and I'm so happy to have found the Aurora Lightpad mini. I noticed a significant difference in my mood right from the start. I use it every day and call it my happy light. Thank you Aurora Light Solutions. I couldn't be happier." 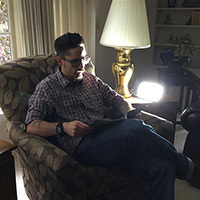 "My wife insisted that I get a light therapy box after my doctor gave me a prescription. I was hesitant as we have lived in Seattle for years and just figured everything would get better when the sun came out. I feel much better when I use the box. It has given me a different outlook on the long, dreary days here in Seattle." "Originally, I'm from a very sunny place and moving to Fargo, ND was a shock, to say the least. I became irritable, withdrawn, tired and just a downright unhappy person. After a little bit of research, I discovered that maybe I had SAD and needed to try a light therapy box. I purchased the Aurora Lightpad mini and have loved it ever since. It's a small and VERY bright lightpad. It's small and I'm able to take it with me wherever I travel. I now feel happier, lighter and more at peace. 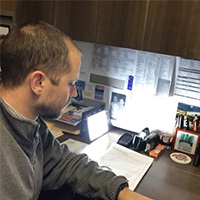 Thank you very much Aurora Light Solutions."